When thinking about this blog one of the first things that came to my mind was a language I will use. Also, whenever writing a tweet or a facebook status, I always decide between English and my mother tongue – Czech. 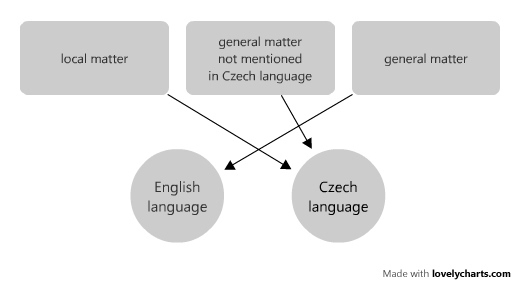 English has much wider audience but I still want to keep using Czech. Writing everything in both languages is a choice too, but that is quite time consuming. Is your information interesting in general or is it a local matter? Is it something heavily discussed in e.g. English and not noticed enough in Czech? I like to have a chance for a wider audience, keep consistency and still use my mother tongue. So a result of this will be a blog or a twitter feed (or posterous, or tumblr, .. ) with most posts in English and some in Czech.